Dura-Lar Wet Media Acetate is a specially treated film that can be worked on both sides with paint, marker pens and airbrush without beading, crawling or chipping. It is archival quality, will not yellow and is stable and will lay flat. 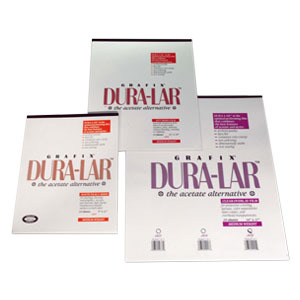 Dura-Lar Wet Media Acetate is a great tool for making trial changes when you are not sure where to go.